Marley Eternit has launched a new range of premium handmade clay plain tiles to help create stand-out roof designs for high quality housing developments and sensitive refurbishments. The Canterbury range provides a genuine handmade appearance that specifiers are looking for in today’s market. The traditional hand making process used to create the range brings random undulations and variations that give each tile a unique appearance and character. The tiles are available in three rich colours with soft edges, fully formed nibs and a sandfaced texture which is synonymous with the handmaking process. The Loxleigh handmade clay plain tile has a subtle variation in colour, ranging from red to grey and black with a sanded finish that gives a premium antique reclaimed appearance. The Burford has a rich red-brown tone in a fully sanded texture, which adds warmth and character to the roof. Finally, the Chailey has a more vibrant orange tone with a sandfaced texture that can be used on the main roof, or as a perfect contrast tile for vertical detailing. In addition, all three colours can be mixed on the roof to create your own unique blend and give a patchwork of colours that is often seen on traditional roofs in Suffolk, Sussex and Kent. 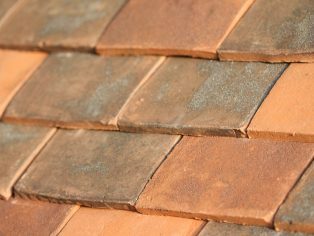 Canterbury clay plain tiles are also available with a complementary range of traditional handmade fittings and decorative accessories to achieve the perfect finish. Architects, developers and home owners alike are fast rediscovering the beauty of natural handmade clay tiles which are created by skilled craftsmen in the same time-honoured methods that have been used for hundreds of years. All Canterbury handmade clay plain tiles are made from Etruria Marl which is widely accepted as the finest clay for strength and durability. The process starts with the hand maker sprinkling some sand into the bottom of the mould to help give the tiles their individual colour and sanded texture. They then place a pre-cut rectangular shaped ‘clay bat’ into the centre of the mould and the maker ’knocks’ the raw clay by hand, using a wooden mallet, to achieve the desired shape and thickness. The excess clay is wired off and a punch is brought down to create the nail holes and nibs and at the same time, the identification marks and batch numbers are stamped into the back of the tile. Finally, the hand maker releases the tile from the mould and removes any excess clay from the nail holes, before placing the unfired or ‘green’ tiles on a metal drying tray. Once fired, the clay tiles will never fade and it is the firing process, combined with the natural clay and the different sands, which gives the tiles their beautiful distinctive colours. 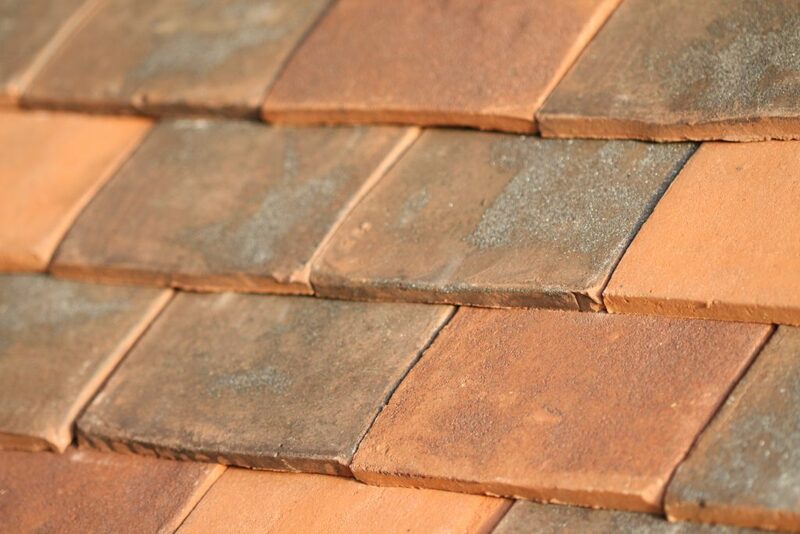 Handmade clay plain tiles have been a popular roofing material in the UK since the 1100s and Marley Eternit’s new range is manufactured at its Keele factory in Staffordshire, which specialises in clay plain tile production. Combining the knowledge and experience gained over hundreds of years, the site is ideally suited to use the skills learnt to produce the new range of premium Canterbury handmade clay tiles. For further information on our range of products and services just ask ME at www.marleyeternit.co.uk or call ME on 01283 722588. You can also follow ME on Twitter @MarleyEternit. If it matters to you it matters to us, that’s why with ME it’s all about you.